I am SO excited! The Geography Club has been made into a movie! I read the Geography Club several years ago. It’s a great story about trying to fit in. A group of gay students form a Geography Club to stay below the radar and hilarity ensues. 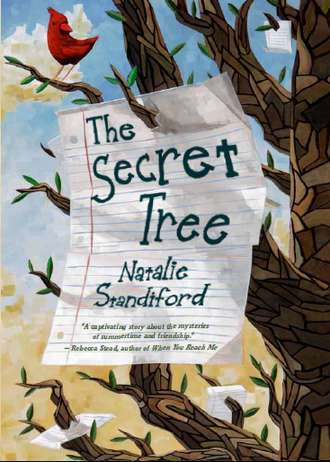 The characters are fantastic and the story perfect for high school students. There are three more books in the series and the newest is now. The Elephant of Surprise is officially on my summer reading list. Be sure to read the interview and watch the movie trailer! On my Facebook page I posted information on Erno’s recently released book You Belong With Me. I throughly enjoyed the book- it’s a sweet love story with a happy ending- my favorite kind. I love the book even more now that I’ve read this author interview. He is a man with a mission to write positive, supportive LGBT YA literature, and that is exactly what teens need. Young Adult Series You Still Think About Today: A Reading List. There are some oldies but goodies here! I love the Inkheart Trilogy! This is a great post. Enjoy! On a recent trip to the library, my daughter informed me that she does not like mystery books (at my suggestion that she try a Nancy Drew book) and that she did not like historical fiction (except for the “Laura” books), but that her new passion was fantasy. This new love of fantasy stems from recently reading the first three Harry Potter books with her dad. 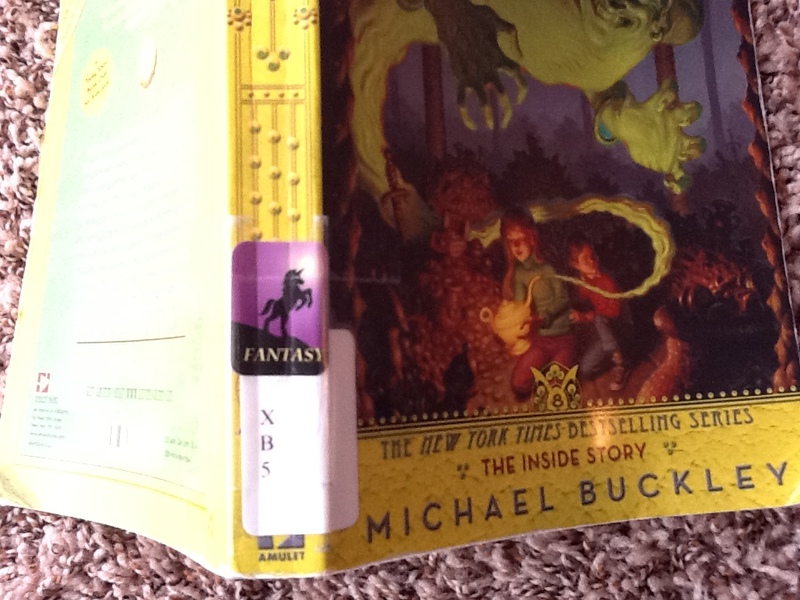 So, we began hunting through the children’s chapter books for those with the fantasy sticker on the spine. This is what it looks like. We loaded our bag full of several and discovered one particular gem among the stack. Over the last few weeks, I have been reading to her from Cornelia Funke’s Igraine the Brave (1998), an adventure novel full of fantasy and magic. Sounds like a great read…. What? Who wrote this message and why did he/she leave it the hollow of a tree? Caroline Clooney has authored 91 YA novels and is true inspiration to all YA writers. This blog post is about her book A Face on the Milk Carton and its sequels. Last year I had to buy several copies of these novels to meet the high demand. Clooney is prolific and diverse in subject matter so there is always a book that will interest every type of reader. Middle grades literature to get its own designation on the New York Times Bestseller List. 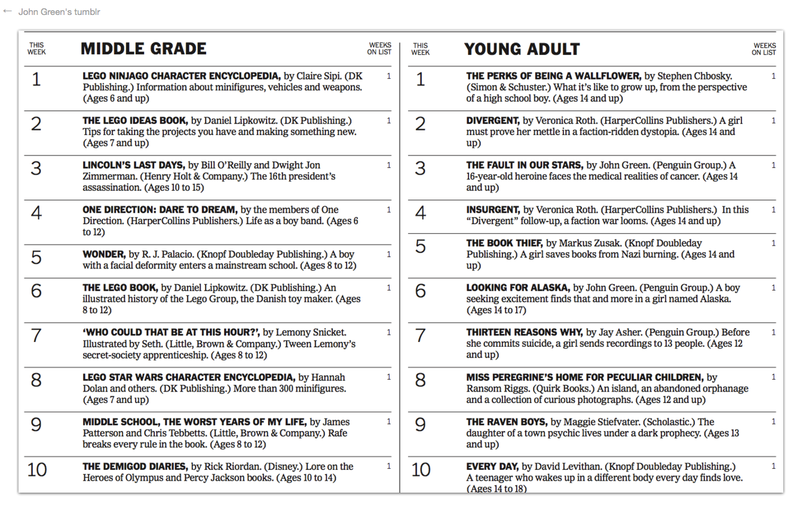 The New York Times Bestseller List Will Now Separate YA and Middle Grade Titles! Both lists, including the series bestseller lists, will include ebook sales, while the picture book bestsellers list will continue to report hardcover unit sales only. We know that many of the characters in the Little House novels are based on real people—and sometimes in interesting ways. Take, for example, the notorious Nellie Oleson, a girl so persistently odious that you just know (or hope) that she cannot have been “real” in quite that way. As it turns out, this character is an amalgam of no less than three unpleasant people of Laura Ingalls Wilder’s childhood acquaintance; Nellie as we know her combines all of their unpleasantnesses into a perfect triune arch-nasty. It’s a wonderful time to be a young reader – Entertainment – MiamiHerald.com. This article appeared in today’s Miami Herald and includes information on several YA novels and the success YA writers are enjoying. Attention 7th Graders: vote for your favorite summer reading book! So this is not about books, or reading but about something perhaps even more important to me—the online safety of our kids.